What Causes a Person to Blackout? Syncope is defined as “partial or complete loss of consciousness with interruption of awareness of oneself and ones surroundings”. When the loss of consciousness is temporary and the person recovers spontaneously, it is referred to as syncope or, in non-medical terms as fainting. Syncope or fainting, results from a temporary reduction in the blood flow and insufficient oxygen supply to the brain. When this occurs, the individual may experience lightheadedness, a “blackout” episode or loss of consciousness. The reduction in blood supply to the brain can be caused by both heart-related conditions as well as other conditions that do not affect the heart. Syncope may be associated with a sudden fall in blood pressure, a decrease in heart rate or changes in the blood volume or distribution. Orthostatic hypotension is an abnormal change in blood pressure and heart rate associated with an illness. Orthostatic (upright posture of the body) hypotension (less + tension=pressure) refers to the fall in blood pressure when an individual stands and the blood settles in the legs. Normally, an individual that stands up after sitting or lying down, will not experience any discomfort as the body works to adjust to the change in position. During this process, the body will push blood upwards to supply the brain with oxygen. If sufficient amount of blood is not supplied, the blood pressure will lower and cause the individual to feel lightheaded or they may faint. There is also postural hypotension which occurs when the blood pressure drops suddenly because of a quick change in position, such as from lying down to standing. Dehydration results when the body suffers from inadequate water levels, either by loss or reduction. Persons who are dehydrated will have a decrease in their blood volume. Normally the body regulates the amount of blood that is pumped by the heart; if there is an inadequate amount of fluid in the intravascular space, the body then increases the heart beat to maintain the blood pressure. The situation worsens as the dehydration becomes more severe and will lead to syncope as the body’s organs receive less blood. Neurological triggers such as intense levels of emotional stress, anxiety, fear, pain, panic, hyperventilation and hunger, alcohol and drug abuse can also lead to fainting. Diseases that affect the nervous system such as diabetes or Parkinson’s disease. This is more frequent in older people when poor tone of the nerves in the legs draws blood into the legs from the brain. 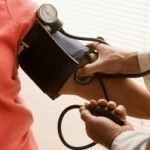 Blood pressure medications which may lower the blood pressure. Neurological conditions such as migraines, seizure and stroke. Abnormal heart rhythms where the heart rate is too low or fast. Aortic stenosis – valvular heart disease caused by an incomplete opening of the aortic valve. Pulmonic valve stenosis – valvular disease where blood outflow from the heart’s right ventricle is obstructed by the pulmonic valve. Pulmonary artery hypertension – high blood pressure in the arteries supplying blood to the lungs. Aortic dissection – tear in the aorta’s lining. Cardiomyopathy – severe disease where the heart muscle become inflamed. Can wearing tight socks make you blackout, along with no sleeping and no eating? One can certainly blackout and cause severe long-term health problems by not sleeping and eating properly. Socks would have to be extremely tight to cause a problem, and I can’t see how they would cause you to black out. Compression stockings are normally fine.